First of all, we will take a quick look at some of the critical figures and data in the energy markets this week. A surprise jump in the rig count pushed oil prices briefly to their lowest levels in 11 years before crude recovered some lost ground. • At 128 million metric tons, the U.S. electric power sector emitted the lowest level of carbon dioxide emissions in April 2015 out of any month in the past quarter century. • April typically sees the lowest level of CO2 emissions out of the year because of mild weather. • U.S. emissions have been trending downwards for almost a decade. The principle reason for this is cheap natural gas, which is rapidly forcing out coal for electricity generation. Natural gas burns 71-79 percent fewer CO2 emissions than coal when generating electricity. • This trend will continue for the foreseeable future. EPA regulations are making it more difficult for owners of coal-fired power plants. Given the 30, 40, or even 50-year investment time horizons for new power plants, no utility will build new coal plants in the U.S., perhaps ever again, given the high likelihood of a carbon-constrained economy in the future. • ConocoPhillips (NYSE: COP) is pulling out of Russia. 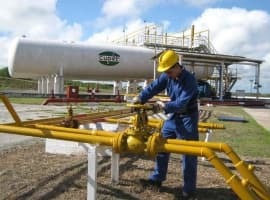 The American oil major is selling its 50 percent stake in a joint venture with Russian state-backed oil company Rosneft. The Polar Lights joint venture has been suffering from declining output. The divestiture marks the Conoco’s complete withdrawal from Russia, after being one of the first large oil companies to jump in following the collapse of the Soviet Union in the early 1990s. • Chesapeake Energy (NYSE: CHK) has been suffering from low liquidity and has attempted to swap bonds in order to obtain some breathing room. The value of Chesapeake’s bonds have plummeted this year, and so has its share price. Reuters reported last week that its bond swapped was all set to “fail miserably.” Expect more trouble ahead for the nation’s second largest natural gas driller. • SolarCity (NYSE: SCTY) has seen its share prices skyrocket since the congressional budget deal included tax credits for the solar industry. The stock is up more than 25 percent since Dec. 15. Now SolarCity is threatening to shut down its operations in Nevada if the state’s public utility commission ends net metering there. A decision is expected today. As we head into the holidays, there may be a shortage of holiday cheer for energy companies and their investors. Here’s hoping to a much improved New Year! 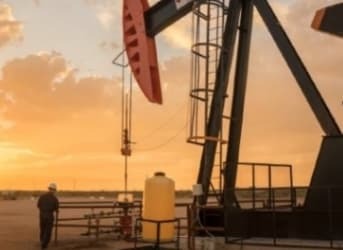 Oil prices saw no relief since last week, with the surprise jump in the active rig count in the United States weighing on the market. Baker Hughes reported an increase of 17 for oil rigs (offset by a decline in the gas rig count), a bearish signal that suggests that some drillers feel they can still make money drilling despite rock bottom oil prices. To be sure, there is a lag time between oil prices and the rig count figures, and the metric is not a perfect measure of market conditions. But the increase caught the markets by surprise, sending oil prices down to 11-year lows, surpassing the low points logged during the depths of the financial crisis in 2009. Related: OPEC Members In Jeopardy, How Long Can They Hold Out? There are few reasons to be bullish right now, although most market watchers still target late 2016 as the period in which things start to turn around. "We view the oversupply as continuing well into next year before rebalancing in the fourth quarter 2016," Goldman Sachs said in recent report. "Our base case remains that the global oil stock build will on aggregate remain shy of storage capacity, although the storage buffer has once again narrowed." Mild temperatures continue to suppress demand across the United States for natural gas and liquid fuels, which could ultimately result in a much smaller drawdown during winter heating season than is typical. The economic damage inflicted upon oil-producing countries has also been well documented and closely watched. Nigeria is one such country. The West African OPEC member has seen its budget decimated by low oil prices, and the government has come under increasing pressure to devalue its currency, the naira, because of the weakening economy and shrinking foreign exchange. Nigerian President Muhammadu Buhari has held out, projecting confidence that Nigeria can maintain the peg. However, he recently opened the door to a potential devaluation in January. Weakening currencies is a problem throughout the oil-producing world, with significant declines exhibited in South America, Africa, the Middle East and Eurasia. Countries with flexible exchange rates have seen their currencies plunge over the past year while countries with fixed exchange rates are coming under extreme pressure to abandon their pegs and devalue. Nigeria’s naira peg could be next on the firing line, but it surely will not be the last. Another bearish black swan event looming over the oil markets is latent Libyan oil capacity. Rival factions in Libya have carved up the country and kept the North African oil producer from exporting to its full potential. Libya’s oil output has been down around 400,000 barrels per day for the past year or two, while its Qaddafi-era capacity stood at 1.6 million barrels per day. However, the rival governments in Libya have started the peace process, and signed an UN-brokered accord last week. It is unclear whether the peace deal will hold, but if violence and instability begins to abate, Libya could start to bring some oil production back to international markets. The exact amount is unclear, but if, say, 500,000 barrels were brought back online sometime in 2016, that would be extremely negative for oil prices. That would essentially offset the expected declines from U.S. shale next year. Chevron (NYSE: CVX) has signed a non-binding agreement with a Chinese buyer for part of its LNG capacity in Australia. China Huadian Green Energy says it will purchase 1 million metric tons of LNG per year (mtpa) over a 10-year period. That will bring Chevron’s booked capacity from its massive Gorgon and Wheatstone LNG export facilities in Australia to 80 percent. The Gorgon facility, which has suffered repeated delays and cost overruns, is expected to startup next year. The LNG market has taken a downturn following softening demand in Asia and the downward drag of oil-indexed LNG prices. Australia is quickly emerging as one of the largest LNG exporters, but with so much money sunk into export facilities in the land down under, some companies are concerned about earning back their investments. The Gorgon facility cost an eye-watering $54 billion. Dear Electric Company CEO: Merry Xmas and Cut the Dividend?